Hit driver to a generous fairway and have the option of laying up or going for the green in two. The ideal layup is to 80 to 100 metres out leaving a simple pitch to a large receptive green. 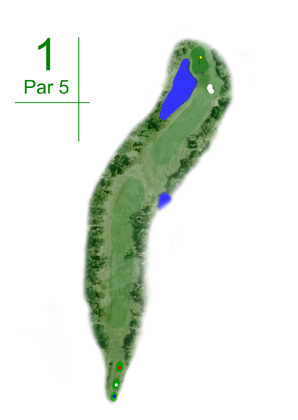 If going for the green in two a high shot is required to carry the pond as the right side of the green is protected by a bunker and a natural fall to the water hazard.